Prakash - TOTALLY INTO IT! What does your role entail? In my role, my key accountabilities include: Controlling the day to day operations of the business (profitability, film programming, payroll, inventory, repairs & maintenance, implementing national head office initiatives), establishing strong relationships with third parties and suppliers, implementing our Local Area Marketing (LAM) plan, ensuring location presentation and cleanliness, forecasting and rostering staff as per labour targets, ensuring OH&S and RSA policies are adhered to and taking a lead role in the hiring and induction process of new recruits. How did you get your start working in Cinemas? I first started at Event Cinemas Macquarie as a casual in 2010, whilst studying my degree in Media at Macquarie University. My brother, a Supervisor at the time, told me about a recruitment day coming up, so I applied! The rest, as they say, is history! Does anyone in your family work in a Cinema? Yes, my wife is a Food and Beverage Manager with Event Cinemas! Why do you LIKE working in Cinemas? Every day at the cinemas is unlike the last! There is a new challenge everyday and we are kept on our toes. There is never a boring day at the movies! What surprised you about working in a Cinema? Working for Event Cinemas has given me a huge appreciation for the technical requirements to get a film on screen – particularly when we ran 35mm print! I had no idea about the process involved! What’s your career path looked like to date? I started as a General Cinema Worker in May 2010. After 8 months, I was made a Supervisor before being promoted to a Duty Manager in mid 2011. During this time I was also assisting in the management of our Food and Beverage departments. In early 2014, I was promoted to Assistant General Manager (AGM) at Macquarie. As an AGM, I also worked at Castle Hill and George Street (the group’s biggest cinema complex). On my 24th Birthday, I was promoted to General Manager at Event Cinemas Hornsby! During your time at this Cinema, what has been your proudest moment? My proudest moment throughout my career with Event Cinemas was Valentine’s Day 2015 at George St. This day also happened to coincide with the release of 50 Shades of Grey! By the end of the day we’d served over 10,000 guests and while my feet ached and I was covered in popcorn salt, working with such an incredible team made the day a huge success. What has been your greatest professional achievement to date? My greatest professional achievement was definitely being appointed to the position of General Manager. This was a goal that I had worked almost 4 years to achieve and it was a very fulfilling feeling to reach that goal. 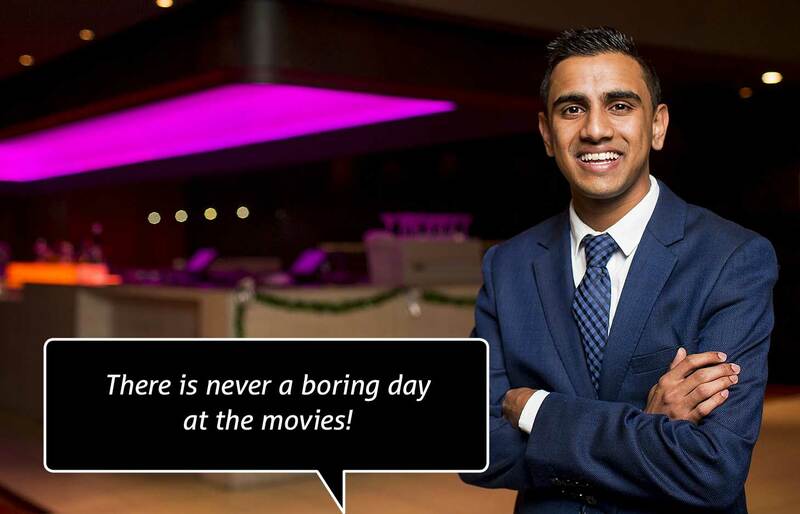 I started as a casual, cleaning cinemas, thinking that this was just a job to get me through Uni – but now I am the General Manager of a cinema that provides movie experiences to over 600,000 patrons each and every year. Where do you wish to go from here? Right now, I am loving learning new things and developing my skills as a General Manager. I hope for a continued long, successful career with Event Cinemas. The next step for me is working towards an Area Manager role. What challenges do you face in this role? It certainly hasn’t been without its challenges. There have been times when satellite feeds haven’t worked to packed out audiences, orders haven’t arrived on time and popcorn machines have broken down over the long weekend but overall the positives FAR outweigh the negatives! What message do you have to tell others about working in the Cinema/Entertainment industry?/ What advice would you give to people considering a career in Cinemas? A career with the cinemas is both challenging and rewarding. 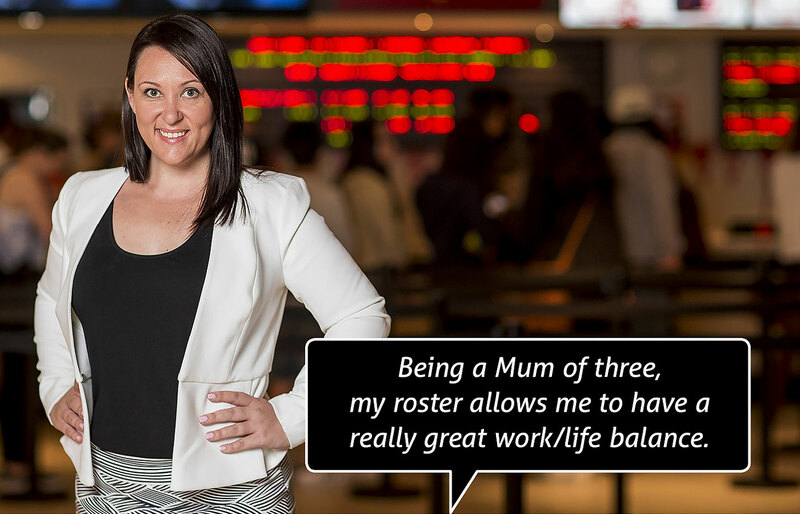 When I started working at Macquarie as a casual employee trying to balance my work and Uni degree, I never would have imagined that a few years down the track, I would be a Cinema Manager. It is awesome! If you love film (like I do) and think you have a knack for customer service – this is the job/career for you! Have you travelled as part of your career in Cinemas? Have you met anyone famous during your career in Cinemas? Yes, particularly at my time at George St, where we host many film premieres and events. During my time there, we were lucky enough to have the likes of Arnold Schwarzenegger, Katy Perry, Chris Rock, Amy Poehler, M Night Shyamalan & Amy Schumer visit our cinema. Can you bust any Cinema myths? There is a lot more involved in working at the cinema, than just popcorn and selling tickets. Working at Event Cinemas has taught me all of the skills that I now have to be able to successfully manage my business! Tell us about one of your best Cinema experiences? As cliché as it sounds, my best cinema experiences have been always with the many mates I have made throughout my time with the company. Many of my closest friends either work for or have worked in the past for the cinemas! Having your mates with you on the busy shifts and late nights definitely makes a huge difference! Do you manage people? If yes, what is that like? Yes. At Parramatta, I manage a team of 70 casual team members and have 8 staff as part of my Management Team. Working with, managing and developing my team is a huge part of my role. Working together to achieve our goals and targets is an awesome feeling! © Copyright 2016 – TOTALLY INTO IT!